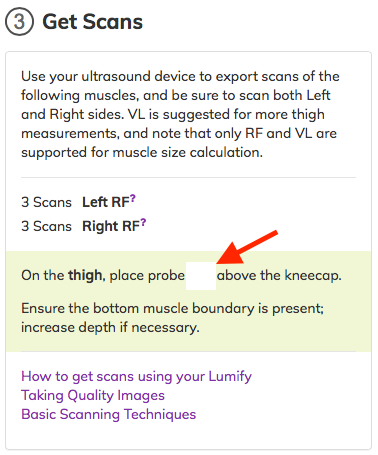 Mark the quad by finding the measurement from Step 3 in the Assessment workflow (it's a lookup on the subject's height). Tip: Use a tape measure and felt tipped marker. Place probe on muscle with a slight, resting pressure. The length of the probe should be in the direction of the muscle width. 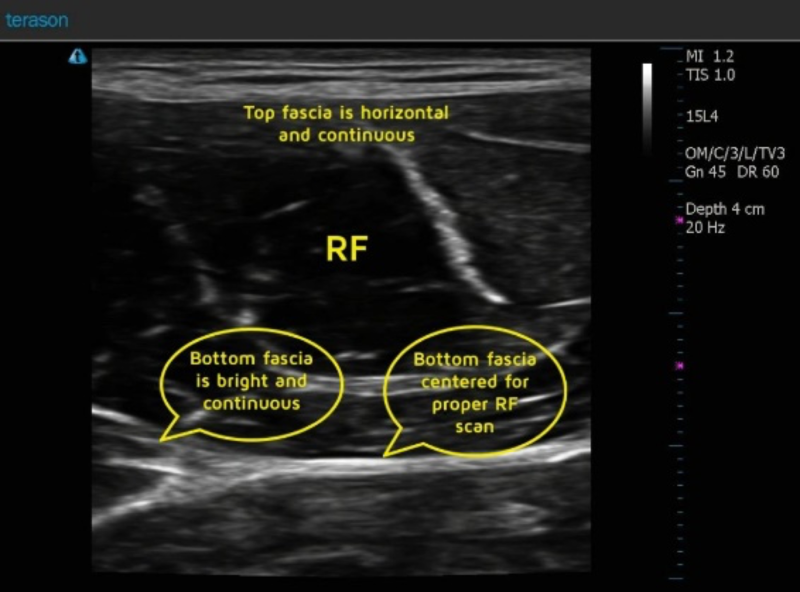 Locate the center of the Rectus Femoris (RF) by sliding the probe from left to right. The center of the RF is found by centering the bottom of the facia on the screen.